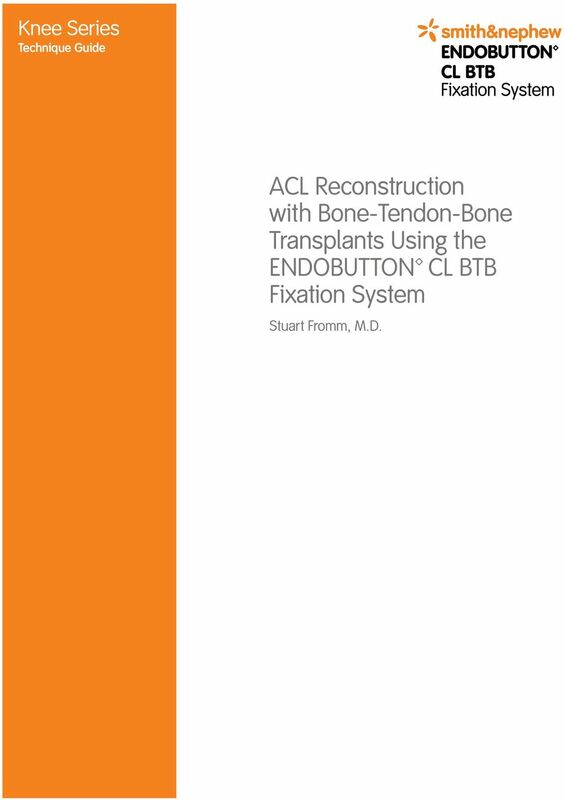 Download "ACL Reconstruction with Bone-Tendon-Bone Transplants Using the ENDOBUTTON CL BTB Fixation System"
1 Knee Series Technique Guide ACL Reconstruction with Bone-Tendon-Bone Transplants Using the ENDOBUTTON CL BTB Fixation System Stuart Fromm, M.D. 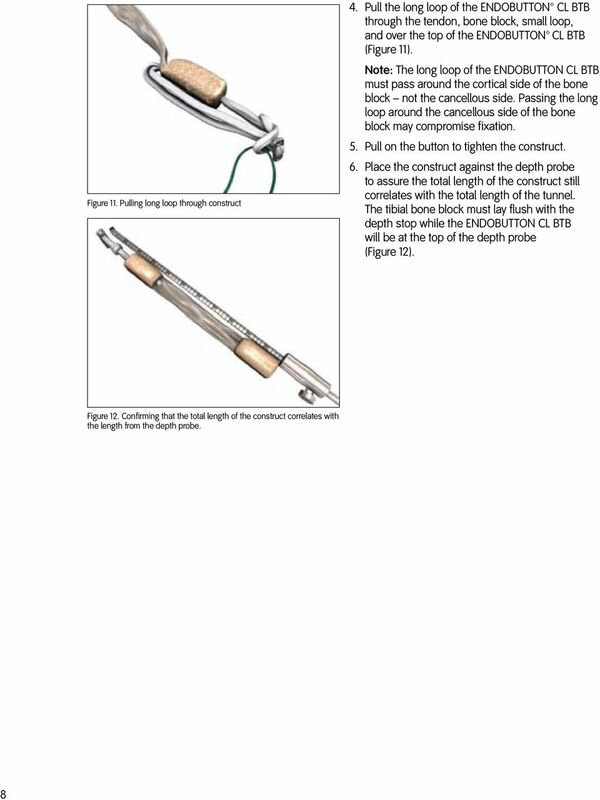 3 ACL Reconstruction with Bone-Tendon-Bone Transplants Using the ENDOBUTTON CL BTB Fixation System Introduction The ENDOBUTTON CL BTB Fixation System was developed by Smith & Nephew to assist surgeons performing bone-tendon-bone (BTB) ACL reconstructions. 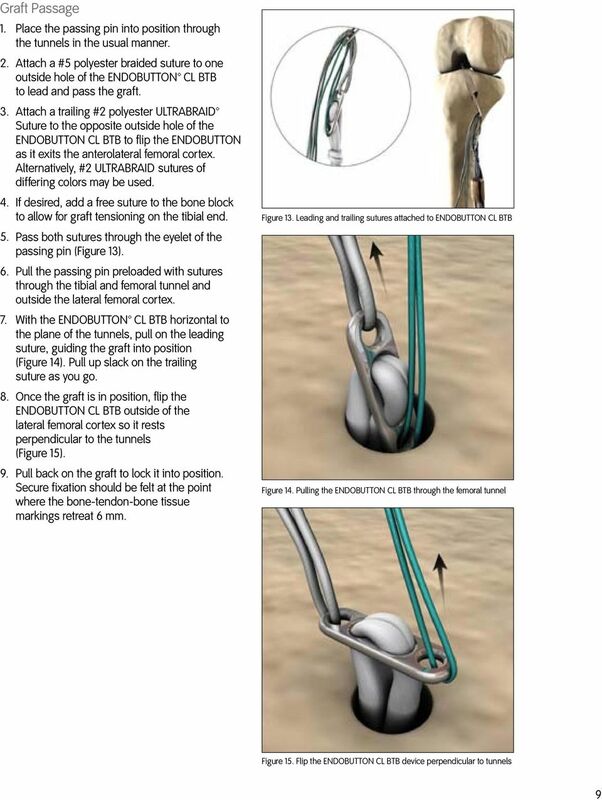 This revised technique, which demonstrates the preferred method of attaching the ENDOBUTTON CL BTB Fixation Device (ENDOBUTTON CL BTB) through a longitudinal hole, offers the surgeon many advantages: Bone blocks are fully appositioned in the femoral tunnel. Neither bone block, particularly the tibial bone block, protrudes. 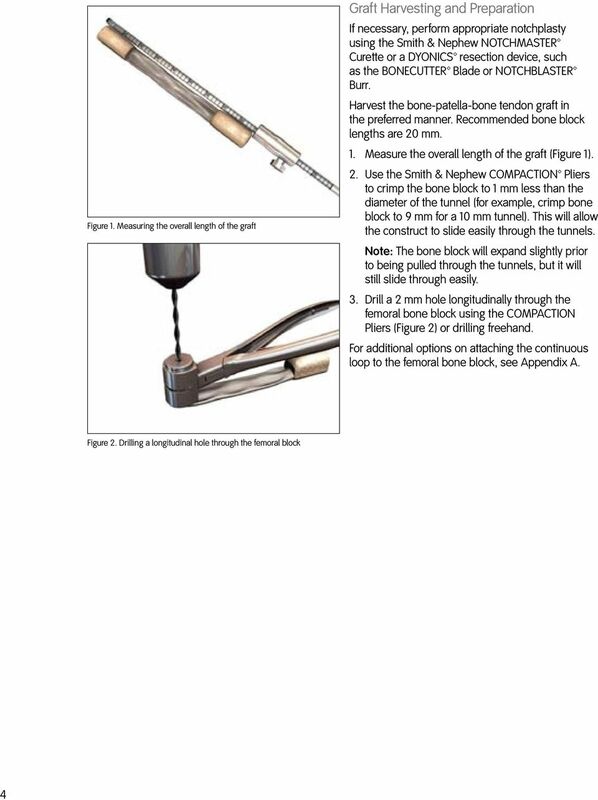 The tibial bone block lies flush with the opening of the tibial tunnel, eliminating the need for long grafts. 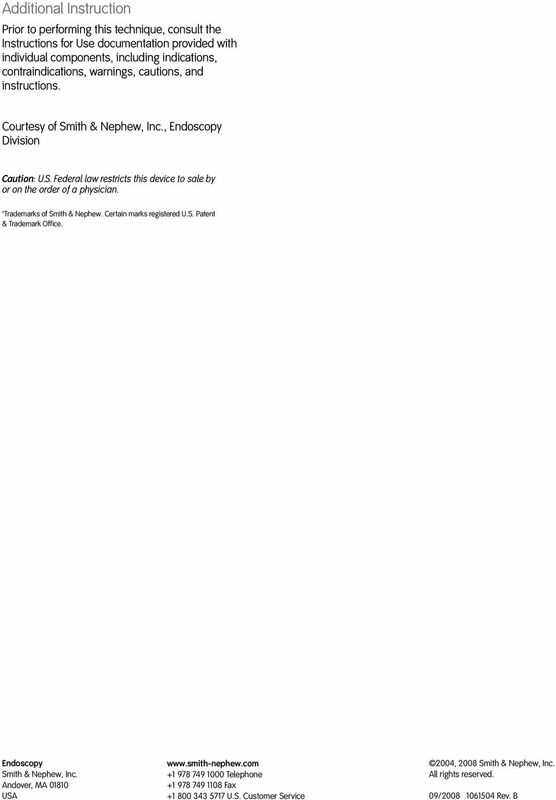 Perforation of the posterior femoral cortex does not compromise fixation. 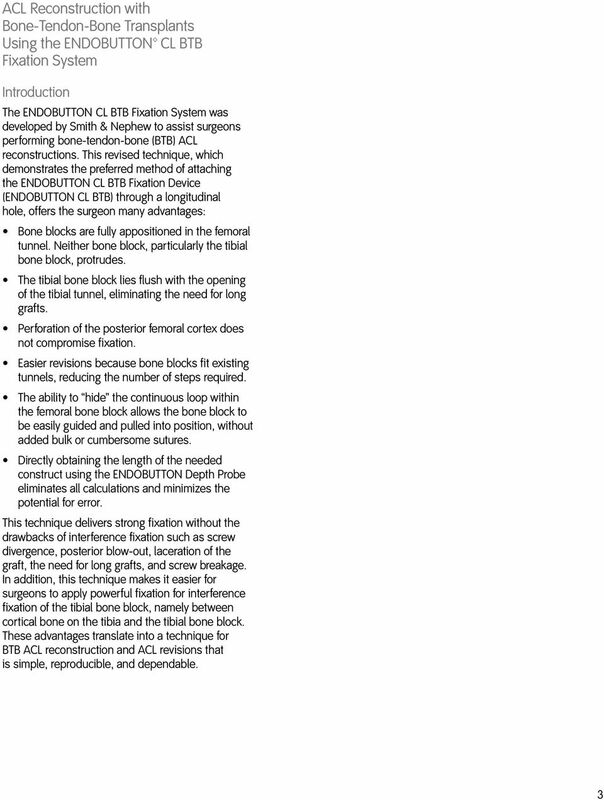 Easier revisions because bone blocks fit existing tunnels, reducing the number of steps required. 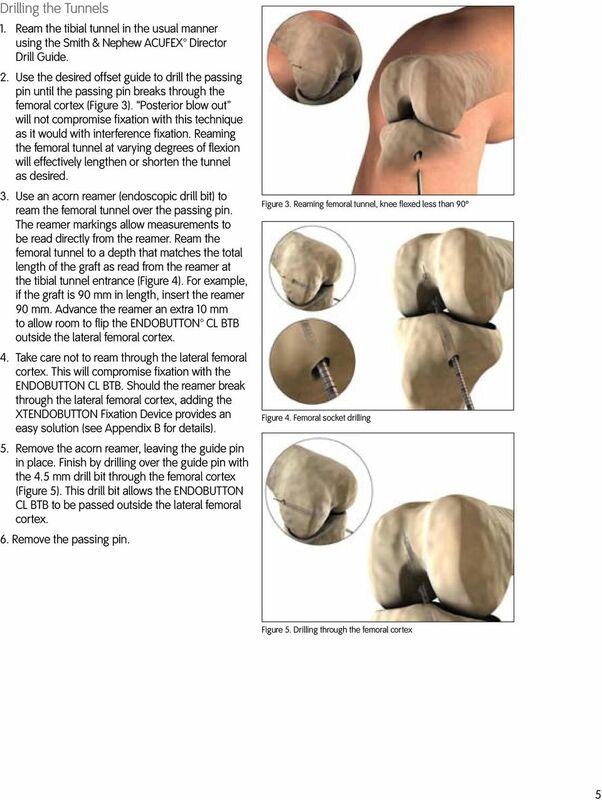 The ability to hide the continuous loop within the femoral bone block allows the bone block to be easily guided and pulled into position, without added bulk or cumbersome sutures. 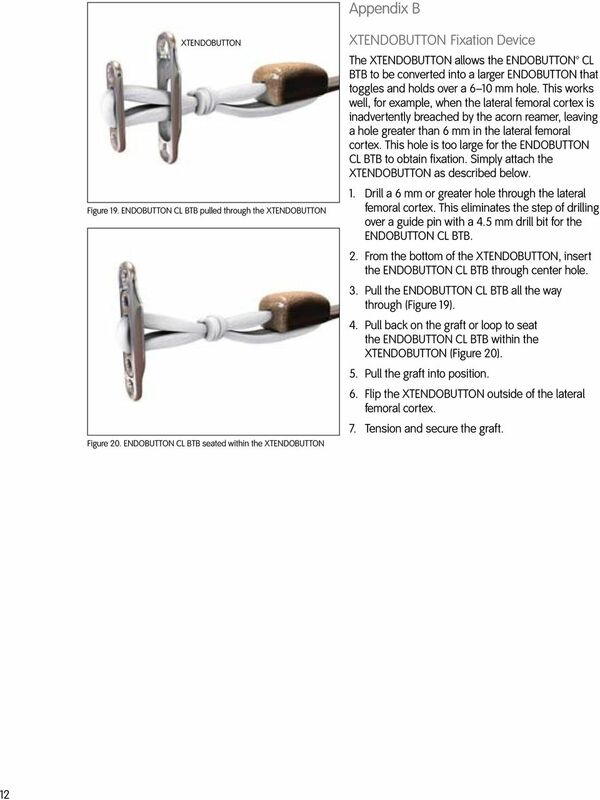 Directly obtaining the length of the needed construct using the ENDOBUTTON Depth Probe eliminates all calculations and minimizes the potential for error. 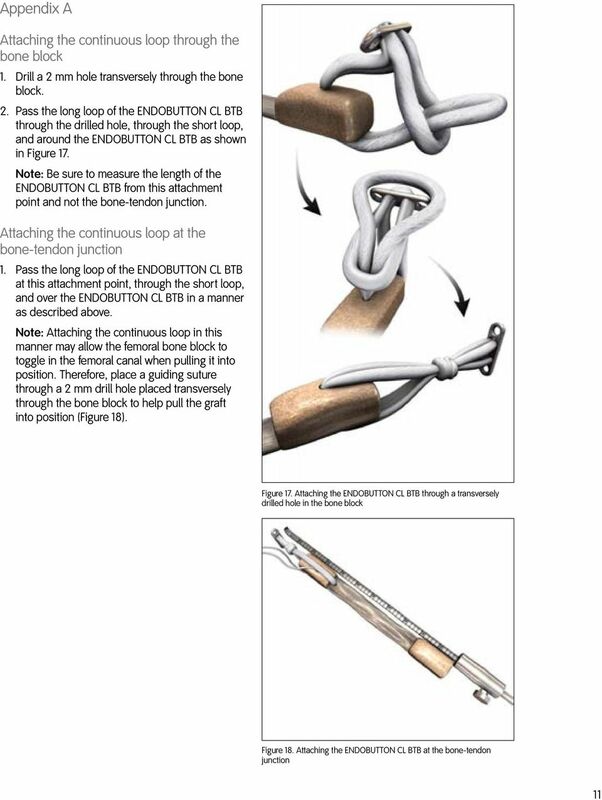 This technique delivers strong fixation without the drawbacks of interference fixation such as screw divergence, posterior blow-out, laceration of the graft, the need for long grafts, and screw breakage. 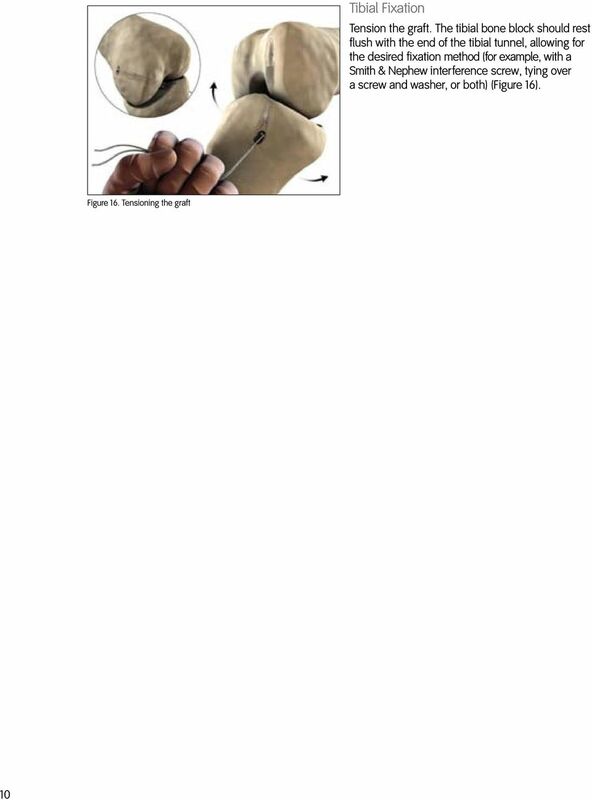 In addition, this technique makes it easier for surgeons to apply powerful fixation for interference fixation of the tibial bone block, namely between cortical bone on the tibia and the tibial bone block. 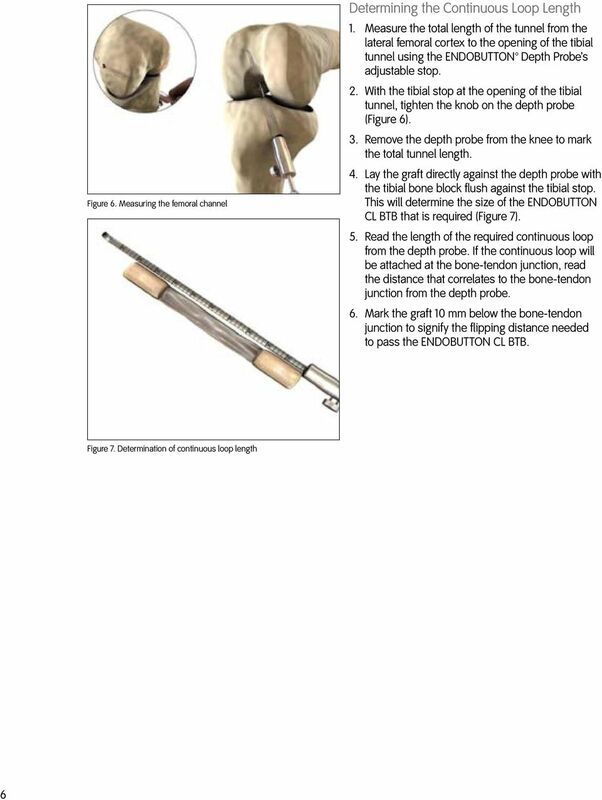 These advantages translate into a technique for BTB ACL reconstruction and ACL revisions that is simple, reproducible, and dependable. 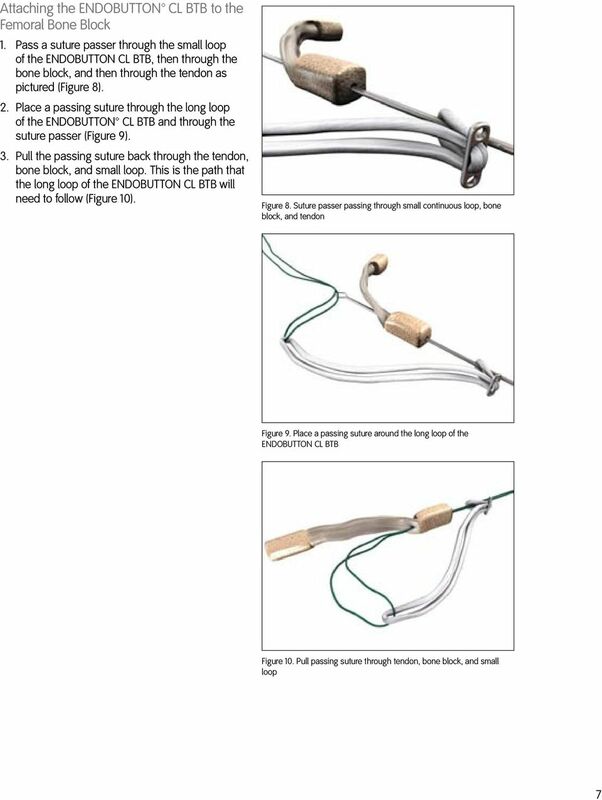 *smith&nephew SHOULDER TECHNIQUE GUIDE Three Arthroscopic Techniques for Repairing the Rotator Cuff using ULTRATAPE Suture Scott W. Trenhaile, MD KNEE HIP SHOULDER EXTREMITIES As Described by: Scott W.